I have a daily ritual at our dinner table of asking my kids to tell me one thing they learned and one thing they enjoyed at school. I joke with them that I'll be asking the school for a refund if they can't come up with something they learned each day. But more times than not, they not only tell me what they learned but they also teach me something I never knew or something I long since forgot. It's great! I get to feel like I'm back in elementary school, even if for only a few minutes a day. Consider the speculative information I now know about Keppler-22b: The planet's mass is thought to be 10-35 times that of Earth and the planet's radius is roughly 2.4 times that of Earth. Potentially the most amazing feature of Keppler-22b is that it is in what scientists call the "habitatable zone", a specific distance from the nearest star that provides optimum light/temperature to sustain life as we know it on Earth. 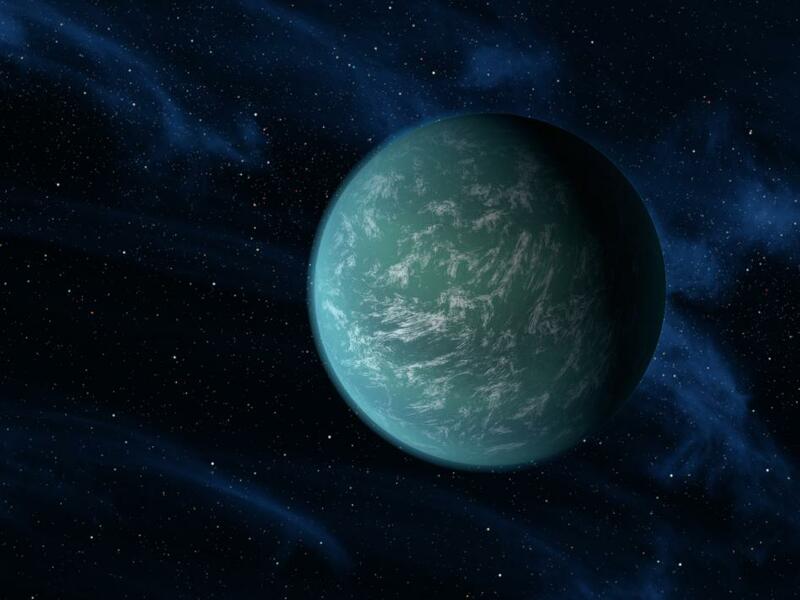 And as referenced above, it's thought to be an ocean planet, covered mostly in water. I don't know about you, but I've never heard of Keppler-22b. A planet with more water than Earth? Wow! The first thought that went through my mind was, "I wonder what the sailing is like on Keppler-22b?" So, as the lyrics from Knee Deep recommend, I'm gonna put the world away for a minute and pretend I don't live in it. As I imagine it, sailing on Keppler-22b would come with warm, clear clean water, plentiful marine life (much of which is easy to catch with rod and reel! ), zero over-developed shoreline, no commercial traffic to dodge, and plenty of uncharted water to explore. Of course Keppler-22b sailing would also involve VERY long passages and few anchorages since there's so much water and little, if any, land. I'm guessing there's no tight-knight cruising community on Keppler-22b either. And is there a Verizon signal out there so I can still write this blog? Ok, back to planet Earth. Not only can Earth support life, the sailing here is pretty great too! Truth be told, it's just as exciting, exotic, and scary thinking about all the places I could sail to right here on my home planet. I'm ok if extrasolar sailing on Keppler-22b is just a goofy imaginary thought spurred by the learnings of a 9 year old.